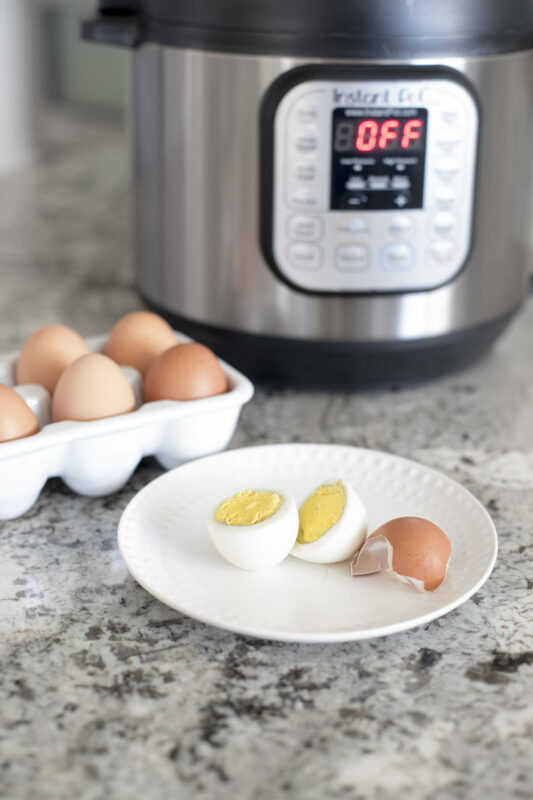 Instant Pot Hard Boiled Eggs Recipe! I Love My Instant Pot! The Instant Pot! Talk about an instant hit, too. When I heard people raving about this genius device, I couldn’t wait to get one. When I finally did, I understood what everyone was raving about! One of my goals this year is to start learning new recipes for the Instant Pot because it really does simplify life a lot. It is so nice to be able to throw in soup at 5 pm (with frozen chicken! ), and have it be completely done by 6 pm. 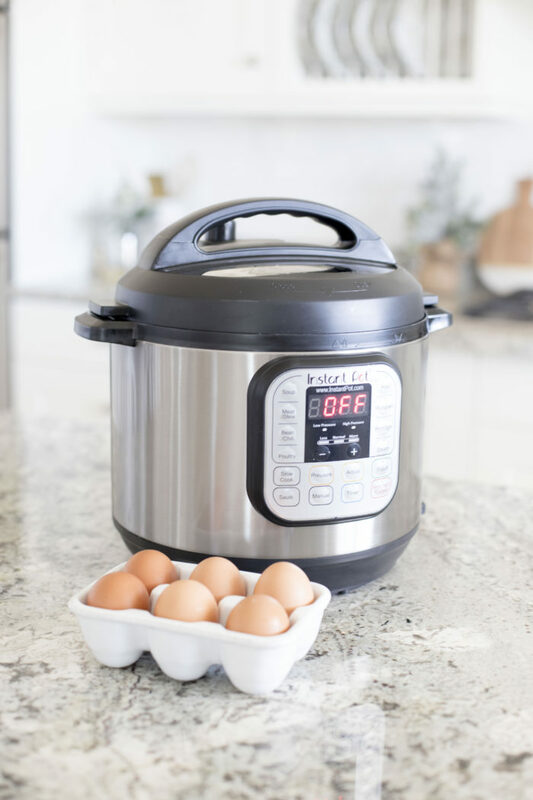 I never expected this when I first got my Instant Pot, but what I have used it for the most is to hard boil eggs! 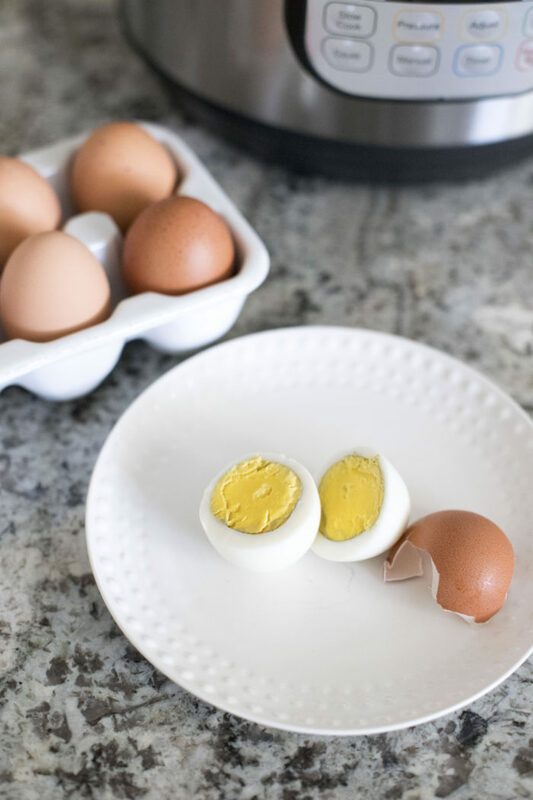 I hate it when hard boiled eggs are hard to peel, and I was amazed at how easily the shells slipped right off of these eggs when they are cooked in the Instant Pot this way. 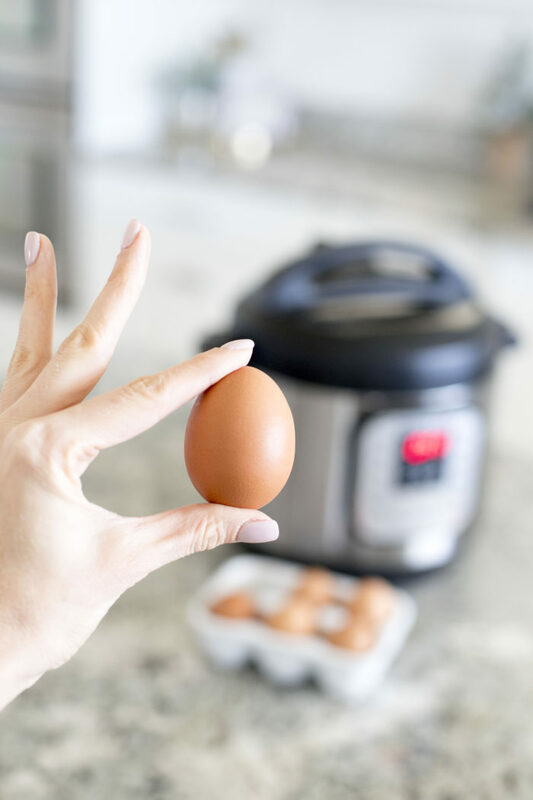 Put a cup of water in to the Instant pot, and put in as many eggs as you want. Seal the lid on top and make sure it is set to sealed on the top instead of venting. Set your Instant Pot on manual high heat for 5 minutes. When it’s done, let the pressure release on it’s own, and then remove the eggs. Let them cool a bit, then peel and eat or refrigerate until you are ready to eat them! I like to put them in a cute little egg crate like this one so I remember which eggs are boiled and which ones are not. If you haven’t yet purchased an Instant Pot, this is the best price and where I got mine. I have the 6 quart version and it is so nice to be able to either cook a small amount, or a large amount when we have guests coming over. If you have any Instant Pot recipes that I must try, please let me know!! I need more to be able to add to my list of easy-to-cook meals. Thank you, friends! Previous Post: « Day in the Life: 17-month-old twins! I was wondering whether you had one of these as it completely simplifies life with multiples ( I have triplets who are about 6 months older than your kiddos). One instapot recipe that has been a must for me is mac n cheese since our kids love mac n cheese. https://www.familyfreshmeals.com/2017/07/creamy-instant-pot-mac-and-cheese.html It only takes about 10-15 min and tastes amazing. My husband also got me an instapot cookbook by Laurel Randolf and I have been getting recipes in there like red beans and rice, apple oatmeal , and pot roast ( which I wouldn’t have ever attempted to make before) and am really enjoying the different variety. So I would totally recommend it. I would love a quick post or Instagram listing of all of the yummy recipes you assemble as I am also always looking for something simple but yummy. Thanks for sharing the egg trick – I never thought about using it for that. Thank you SO much for sharing these recipes! You are amazing! I think it would be great to do a post of everyone’s favorite instant pot recipes. I will definitely do that!